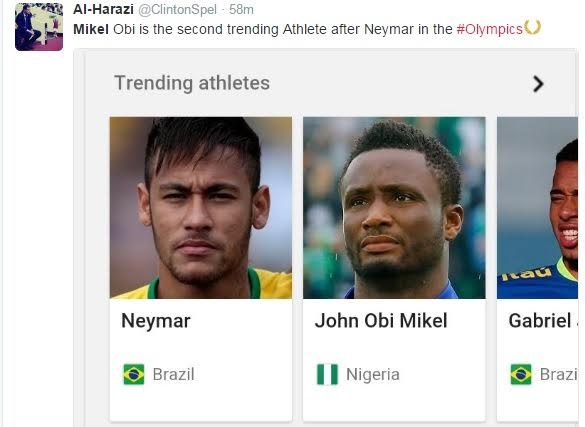 Mikel Obi was in superb form yesterday morning as he controlled proceedings playing as a number 10 and helped Nigeria defeat Sweden 1-0 in the footballing event at Rio 2016. 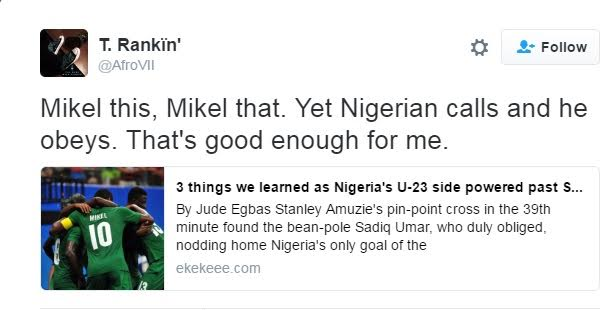 The highlight of his performance was when he made a mazy turn in midfield that left two Swedish players confused and when he also tested the Swedish keeper with a wonderful shot. 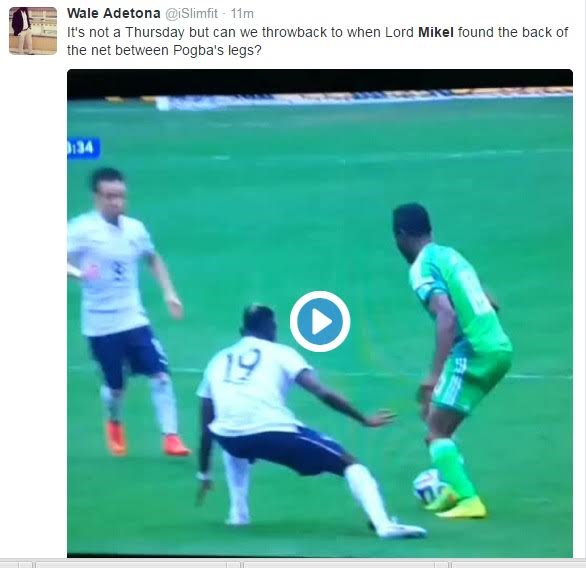 Nigerians have taken to Twitter to praise him, with many saying they are now seeing the 'old' Mikel Obi . See more tweets after the cut.